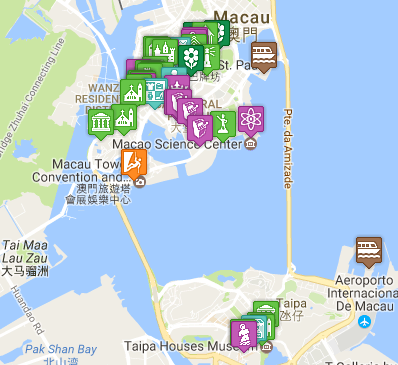 Fancy something a bit more active during your visit to Macau? Why not try out one of these top adventure activities. 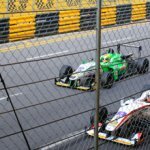 The main draw in Macau to get your adrenaline pumping is the Macau Tower, where you can try out the 233m bungee jump if you’re feeling brave (or the less scary skywalk – a tethered walk around the platform at the top of the tower – I’ve tried this a couple of times and it’s ace- and I’m terrified of heights!). If you fancy something more sedate – the Coloane Trail (and joined Taipa Fitness Trail) provide a network of stunning woodland paths to explore around the hills of Coloane – you can even walk up to the A-Ma Cultural Village and statue of A-Ma on the hilltop from here. Standing proud between Sai Van Lake and the South China Sea, the Macau Tower (Centro de Convenções e Entretenimento da Torre de Macau, 澳門旅遊塔會展娛樂中心) is a great destination for adventure, entertainment or just a stroll along the sea front.